Arrive Paro by Druk Air and transfer to Kichu Resort, which is 10 km from Airport. Overnight at Kichu Resort, Paro. 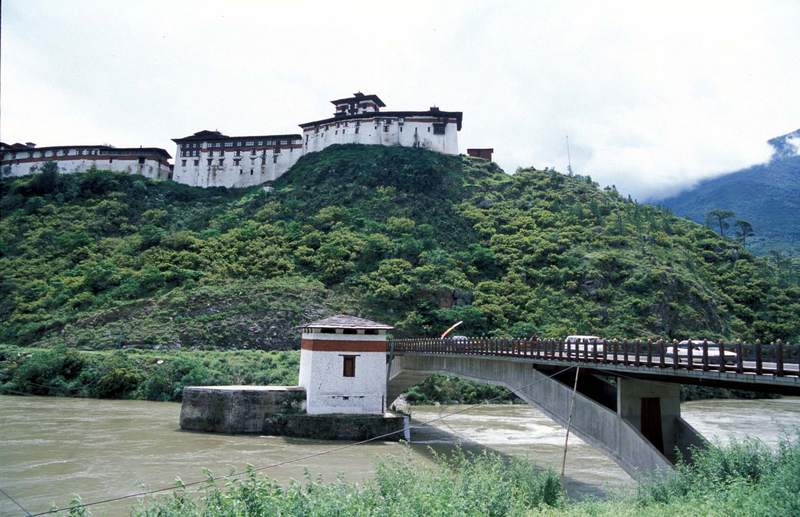 Paro – sightseeing of Drukgyal Dzong the ruined fort, which once defended this valley from the Tibetan invasions. A short drive back to Satsam Chorten for a view of the Taktsang monastery (ruin) perches 800 meters above the Paro Valley. After lunch visit the Ta – Dzong (national museum). Overnight at Kichu Resort, Paro. Early drive Paro – Thimphu (60 km, 2 hrs). On arrival after refreshments commence sightseeing, visit the memorial Chorten, Tashicho Dzong, National Library, Handicraft Emporium, painting school.In the evening visit the Thimphu town. Overnight at the hotel Druk or Riverview in Thimpu. Drive Thimphu – Wangdiphodrang(70 km, 3 hrs), via Dochula Pass (3050 meters). The road is all down hill and you will notice the change in vegetation. Check into Kichu Resort, Wangdue and after lunch visit Punakha Dzong and town. Overnight at Kichu Resort, Wangdi. Day excursion to Gangtay village and visit monastery. Gangtay valley is one of the most beautiful spot in Bhutan. The surprise of finding such a wide, flat valley without trees is extremely rare experience. It is also home to rare black necked cranes that migrate from the central Asiatic Plateau to escape the harsh winter. Overnight at Kichu Resort, Wangdue. Morning drive back to Paro. Afternoon free. Overnight at Kichu Resort, Paro. Fascinating 1.5 hr drive to Chelela pass (Alt. 12,000ft) for Mountain View. After lunch visit typical Bhutanese farm house. Overnight at Kichu Resort, Paro.